PROTECTION LEVEL II - An advanced level of protection designed for: Minor to moderate knee pain associated with jumper’s knee, runner’s knee, patella tendinitis and Osgood-Schlatter disease. WARNING: Do not apply over open wounds or if you have a susceptibility to dermatitis, an allergy to rubber or circulation problems. If a rash or other skin problems develop, discontinue use. If the problem persists, consult a physician. 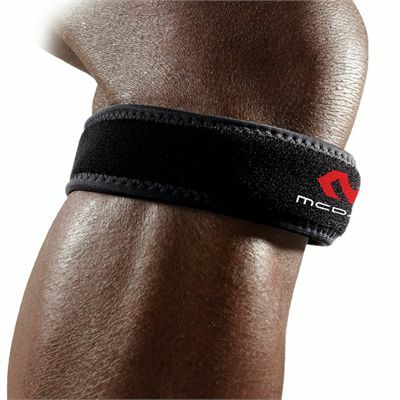 for submitting product information about McDavid 414 Jumpers Knee Strap Support We aim to answer all questions within 2-3 days. for submitting product information about McDavid 414 Jumpers Knee Strap Support. We aim to answer all questions within 2-3 days. If you provided your name and email address, we will email you as soon as the answer is published. 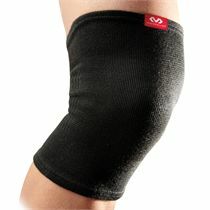 for submitting product review about McDavid 414 Jumpers Knee Strap Support.